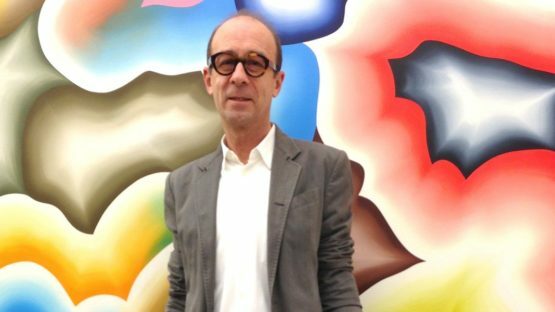 Bernard Frize is a French artist, well known for his experimental approach to painting. He was born in 1949, in Saint-Mandé, France. Referencing Minimalism, Abstract Expressionism, and Color Field, the artist mainly focuses on the mechanics of painting, exploring the bare minimal essence of painting, devoid of conception and aesthetic. Bernard Frize often works in series, following strict rules as to process and palette, and employs assistants in elaborately choreographed acts of painting.